Remember the question Mayor Rahm Emanuel faced eight years ago? Well this time its state Comptroller Susana Mendoza on the hot seat. NBC 5's Mary Ann Ahern reports. Sixteen challenges were filed against the petitions of several candidates for Chicago mayor by Monday's deadline, according to the city's Board of Elections. Other mayoral candidates orchestrated the majority of the objections - an old tradition of legally challenging the validity of opponents' petition signatures in an effort to knock the competition off the ballot. 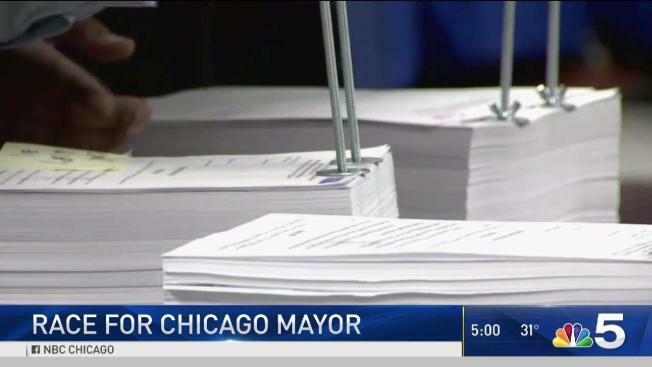 To run for mayor, candidates need to submit 12,500 signatures from registered Chicago voters, who can only sign one petition. Should any candidate drop below that threshold, they are rendered ineligible to run for the office. Candidates often have a third party file petition challenges to appear as though they themselves are not directly connected to the effort to shut down an opponent. Nonetheless, those connections are typically sniffed out or even openly discussed by the campaigns - and this year was no different. Cook County Board President Toni Preckwinkle's campaign challenged the petitions of five other candidates: Catherine Brown D'Tycoon, Conrein Hykes Clark, Illinois Comptroller Susana Mendoza, Cook County Circuit Court Clerk Dorothy Brown and Lori Lightfoot. “This is the routine. 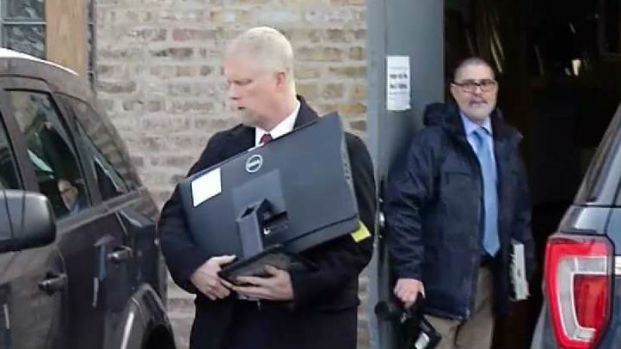 If you're used to Chicago politics, you know that this is the first thing you have to go through if you're a serious candidate,” Preckwinkle’s election attorney Kerilyn Krafthefer said. "Everyone's going to scrutinize petitions because we want serious candidates who follow the rules." As to why all five candidates Preckwinkle - who hopes to be the first African-American female mayor - challenged were also women of color, Krafthefer said it was simply about the validity of the signatures. “We think women are excellent candidates actually, and it's just a matter with the most blatant, obvious flaws that were easier to file against that caused us to file these particular objections," she said. But Mendoza's campaign said her opponents "have stooped low because the old guard of Chicago politics wants to cling to power," according to a statement from campaign co-chair Kathy Byrne. “She's the biggest threat to her opponents so naturally they're doing everything they can to see if there’s any way possible to stop her from being in this race," fellow Mendoza co-chair Marty Castro added. Willie Wilson, who previously ran for mayor in 2015 and for president in 2016, also filed objections to five other candidates' petitions: Brown, Neal Sales-Griffin, state Rep. La Shawn Ford, Roger Washington and Ja'Mal Green. All five are African-American, like Wilson, and male, with the exception of Brown. "Dr. Willie Wilson, a man who claims he's for the people, a man who claims he's for changing these communities, but a person who says that no black candidate should be in the race but him," Green said at a news conference Monday. Former Chicago Public Schools CEO Paul Vallas' campaign also filed two challenges, one against D'Tycoon and another against former Chicago Police Supt. Garry McCarthy. "It’s unfortunate and a waste of time and money for Paul Vallas to challenge my petition signatures, but that’s on him," McCarthy said in a statement, calling the objection "nothing more than a time-consuming nuisance." Attorney Jerry Joyce challenged the petitions of Bill Daley - son of a former mayor and brother of another - whose campaign said he was "confident" his signatures would hold up. Daley also took aim at Mendoza pushing back on the challenges to her petitions, saying, "gimme a break, this is the law." Candidates in the crowded field for Chicago mayor have until Monday to challenge the petitions of their opponents, and one of the potential frontrunners could be facing a fight to stay on the ballot. NBC 5's Mary Ann Ahern reports. "When you're running for office, you follow the law," he continued, adding that Mendoza has "taken advantage of the law and thrown other people off the ballot in other races." An objector named Richard Barnett also filed objections against three candidates: D'Tycoon, Conrien Hykes Clark and Richard Mayers. It was not immediately clear if Barnett filed the objections on behalf of a campaign, and the attorney who oversaw the filings - Republican operative Doug Ibendahl - did not respond to multiple requests for comment. Twenty-one candidates filed petitions to run for mayor, a crowded field that is all but guaranteed to whittle down as challenges move forward. Hearings on the objections begin on Dec. 10 and are open to the public, according to Chicago Board of Elections spokesman Jim Allen. Hearing officers will then make recommendations and the Electoral Board will vote on the challenges in the days and weeks after the hearings. Some cases may take several weeks, Allen said, if they involve questions on thousands of signatures, if they involve affidavits of voters and petition circulators, or if they involve subpoenas of evidence or considerable testimony. Objection cases may even be appealed in the courts and could extend as late as February, with the first election scheduled for Feb. 26.